I recently visited a car showroom to enquire about one of the premium variants of a popular model. The sales person was elaborating about the different features on the exterior. 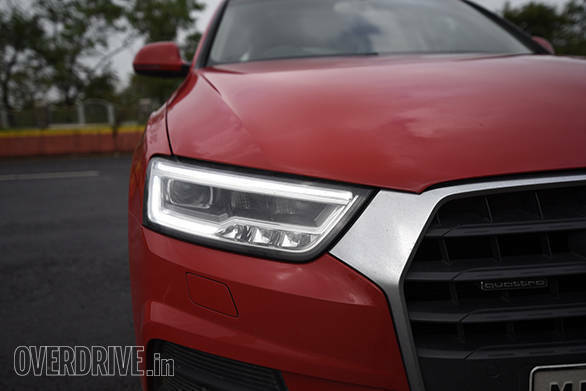 While explaining the design, he stated that the headlights come with a feature called DRLs. I asked him what does it do? Nothing special, it just enhances the front design, he stated. Really? Daytime Running Lamps (DRLs) are switched on as soon as the ignition is turned on. It gives a larger time window for the oncoming driver to react before an accident and that is because of the enhanced visibility. With all the safety benefits, not just luxury but mass car manufacturers too have started offering DRLs in their variants. A study, which was carried in Finland in the late '60s, revealed that the DRLs have helped bring down the rate of accidents by 21 per cent. This safety feature have been gaining popularity off-late, but its origin dates back to the 1970s. It was introduced in countries like Sweden, Iceland, Norway and Canada wherein the ambient light is mostly low. Though DRLs did not prove to be very effective in the United States. The different studies conducted in those times proved that the addition of the DRLs helped reduce accidents. However, there were other countries who were against it. During the '90s, the United States had imposed a ban on DRLs stating it to be distracting for the oncoming traffic instead of helping reduce accidents. General Motors was the only company in the US to equip its cars with DRLs, which was initially opposed by the locals but at a later stage was accepted by the US government. Why were the DRLs distracting for the oncoming traffic? On multiple occasions, it was seen that the brightness of the DRLs was as good as that of the headlights, even though the intensity of their brightness have been specified by different countries. In addition to the greater brightness, it was seen that the DRLs were positioned at a greater height, making it blinding for the oncoming traffic. On motorcycles, the equivalent of DRLs is called AHO (Automatic headlight On). It has been already announced that AHO will be made mandatory on motorcycles in India from April 2017. This decision was taken after the committee appointed by the Supreme Court found that these headlights have contributed in reducing the number of motorcycle crashes in other countries by increasing the perceptibility of the vehicle. 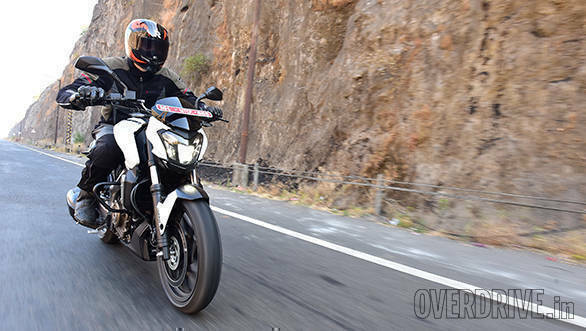 The list of motorcycles that feature AHO include the Bajaj Dominar 400, Yamaha R15, KTMs, TVS Apache RTR200, Hero Achiever 150 and also the Hero Maestro Edge. In addition to the safety benefit, DRLs also lend a premium touch to the front. In fact, companies like Audi, Jaguar and Mercedes-Benz have unique DRLs that has now become a signature trait of their models. In fact, many other automobile manufacturers have followed suit and have added DRLs to their models. Some of the popular cars in India that offer DRLs include the Maruti Suzuki Ignis, Mahindra KUV 100, Ford EcoSport and the Tata Zest. So the next time you are in a showroom and the salesperson tells you about the aesthetics of DRLs, you can tell him that they are much more than that. And it can be instrumental in avoiding a fatal road accident.